JANA JAE IS TAKING HER ‘MAGIC BLUE FIDDLE’ ON TOUR TO THE AMERICAN HERITAGE MUSIC FESTIVAL, ‘GYPSY WEEK’ IN ROMANIA, REUNITING WITH FORMER HEE HAW CAST MEMBERS & MORE! | 2911 Enterprises, Inc.
JANA JAE IS TAKING HER ‘MAGIC BLUE FIDDLE’ ON TOUR TO THE AMERICAN HERITAGE MUSIC FESTIVAL, ‘GYPSY WEEK’ IN ROMANIA, REUNITING WITH FORMER HEE HAW CAST MEMBERS & MORE! 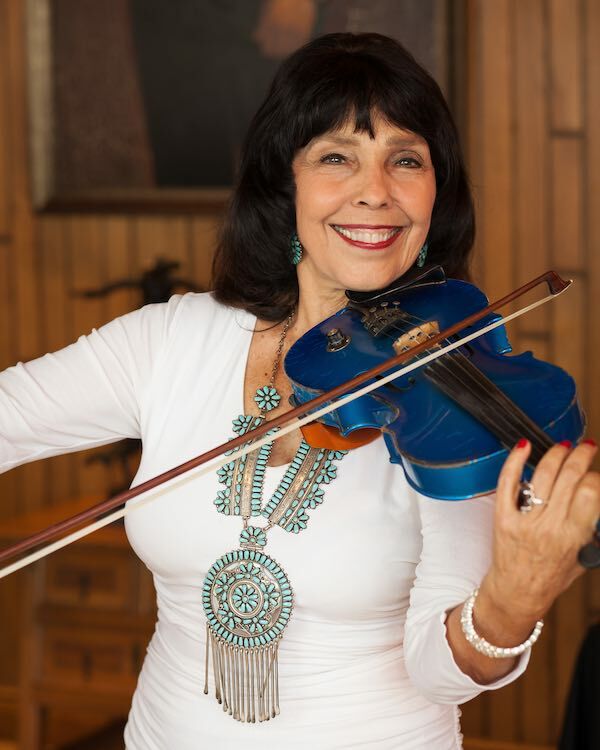 NASHVILLE, Tenn. – Beloved country music instrumentalist and former Hee Haw co-star Jana Jae is set to host her annual Fiddle Camp during the American Heritage Music Festival in Grove, Oklahoma from June 7-9. As part of the Grand Lake Festivals, a 501c3 group that Jana Jae founded, the organization promotes artistic endeavors through the festival with education, workshops and concerts. The event – now in its’ 21st year – brings hundreds of participants together from over 35 states, sharing music for three days on three stages with headliners to novices in the Grand Lake National Fiddle Fest, the “Bluegrass to Bob Wills” Band Showdown, and jamming on the lake stage. The winner of the Grand Lake National Fiddle Fest will receive a $1,000 grand prize. Attendees will have plenty of chances to participate with each other in jam sessions and performing amongst their mentors! To download the complete schedule of events, please click here. Jae is also honored to be performing and judging in the mother-contest of fiddling, the National Oldtime Fiddler’s Contest, taking place during the Weiser Fiddle Festival in Weiser, Idaho from June 19-23. The festival is set to draw over 200 fiddlers from around the country. Jae credits her experiences at the Weiser Fiddle Festival for her inspiration to learning many styles from different fiddlers nationwide. From there Jae will embark on a two week tour through Romania, marking the 50th country in the world she has performed in. Jae will be playing alongside her Gypsy Swing Trio during the annual Gypsy Week in Sighisoara, Romania. Her performances will also include collaborations with Romanian gypsy dancers, and concerts with her International String Quartet in the mountainous regions of Predeal, near the famed Dracula’s castle in Transylvania. After Romania, Jae’s trademark Magic Blue Fiddle will once again be put to good use when she reunites with several of her former Hee Haw cast members for a Kornfield Friends tour in the fall of 2018. Jae, along with LuLu Roman, Misty Rowe, Buck Trent and others, will once again recreate the best of the best for Hee Haw fans with a spectacular show. Whether Jana Jae is taking part in a bravura performance of Bach’s Double Concerto For Two Violins or bringing a country fair crowd to it feet with a sizzling rendition of “Orange Blossom Special,” she’s the kind of performer that people don’t forget. Jana Jae taught music during her early career until she felt inspired to take her unique blend of music on the road. Jana, and her trademark ‘Magic Blue Fiddle,’ soon took the world of country music by storm. Buck Owens was one of the first big names to recognize her talent and hired her as the first female member of his “Buckaroos” band, and she was part of the regular team of performers on the popular television show, “Hee Haw.” She won national credos as an acclaimed fiddler, and has appeared with country greats such as Buck Owens, Roy Clark, Chet Atkins, the Oak Ridge Boys and Ricky Skaggs. JUN 09 American Heritage Festival / Grove, Okla.
JUN 16 Eastern Trails Museum / Vinita, Okla.
JUL 04 Cajun Festival / Grove, Okla.
JUL 22-28 Chamber Music at Scripps College / Claremont, Calif.
AUG 31-SEPT 02 Jana Jae Fiddle Camp / Grove, Okla.
OCT 13 Kornfield Friends* / Bristow, Okla.